Location, location, location! Just steps from the 16th street mall, this urban oasis features crown molding, open kitchen, master suite with walk-in closet system and covered balcony with city views. The second bedroom includes built-in shelving, desk and custom queen size Murphy bed. Both bedrooms and living room have access to the terrace. Ideal for entertaining, this open floor plan has a spacious kitchen with granite countertops and matching granite high top table. The living room has views of the city and 16th street mall. A newer washer and dryer and a utility storage cabinet are in the laundry room. 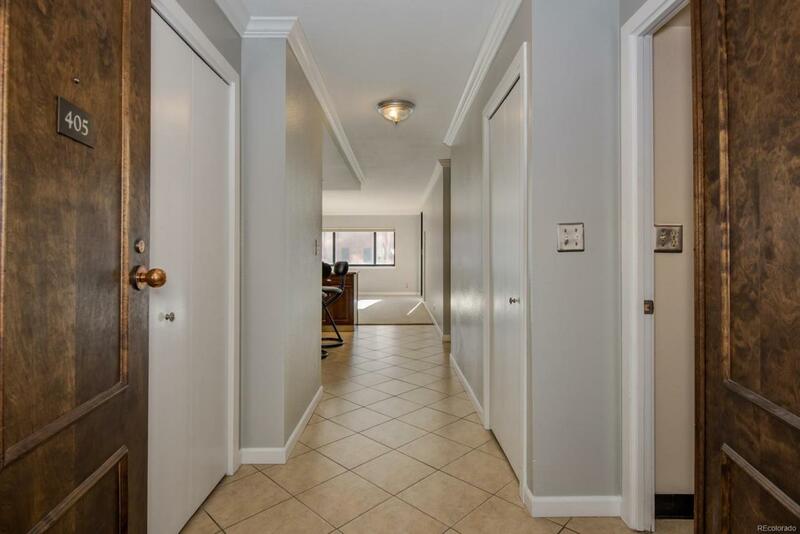 The double door entry and foyer make this condo feel like home. Building has 24 hour concierge service, outdoor pool, a tennis court, grilling area, fitness room, hot tub, sauna, steam room and community room. A deeded parking space and double storage locker are also big pluses in the underground parking area with remote control entry. Most utilities included in HOA fee.